The Russian military has launched cruise missiles against Islamic State positions in Syria from both the Mediterranean and Caspian seas, one of which killed over 600 terrorists in the Deir Ex-Zor Province, Russian Defense Minister Sergey Shoigu has said. 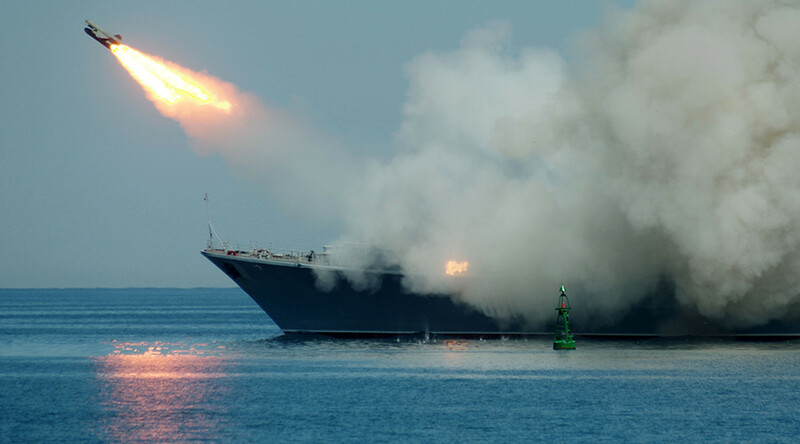 “On November 20, the warships of the Caspian Fleet launched 18 cruise missiles at seven targets in the provinces of Raqqa, Idlib and Aleppo. All targets were hit successfully,” he reported to President Vladimir Putin. Overall, there are 10 warships taking part in the operation, six of which are in the Mediterranean. Islamic State (IS, formerly ISIS/ISIL) have been suffering huge losses as a result of the Russian offensive, Shoigu said, adding that data on the ground shows that the flow of terrorists arriving in Syria has decreased, while more and more militants are fleeing the warzone to head north and south-west. The minister pointed out that Russia is focused on destroying the terrorists’ economic base, having targeted 15 oil storage and refinery facilities as well as 525 oil trucks. In addition, Russia’s air campaign has provided significant support for Syrian government troops near Aleppo, Idlib, Latakia and Palmyra, he noted. The Defense Ministry has published a video showing Russian servicemen at the Khmeimim airbase in Syria writing ‘For our people’ and ‘For Paris’ on bombs that were later dropped on the terrorists. “We have a lot of evidence that Russian airstrikes are effective,” Syrian Brigadier General Ali Maihub told Interfax. “Russian mass airstrikes did irreparable damage to international terrorist organizations in Syria, disrupted their administration and financing systems and destroyed their bases and depots,” he added. Kremlin spokesman Dmitry Peskov still maintains that Russia will not engage in a ground operation against the IS in Syria. “There has been no discussion about a ground operation and there is still no discussion,” Peskov told reporters. A US official said on Friday that Russia has given the US advance notice before airstrikes at least three times since the attacks in Paris, Reuters reports.